Green Lipped Mussels while sipping New Zealand Marlborough Sounds Sauvignon Blancs purchased right from one of the various local wineries, some of which are world renowned and prize winners. Green Lipped Mussels, also known as the Greenshell Mussel, are so called as the normal dark coloring of the mussel shell, in this species has a very green edge, or lip along the edge of both shells. The Marlborough Sounds are home to a burgeoning Green Lipped Mussel industry with mussel farms dotted throughout the cruising waters of this great yacht charter location. Stop right at the farm float, and purchase these Marlborough Sounds farm grown Greek Lipped Mussels plucked right from the water for a lovely on board treat. It is said that the New Zealand Green Lipped Mussel contains five types of Omega 3’s needed by the human body, and that these mussels contain naturally occurring proteins and minerals that are great for joint health and general well being. An industry is growing up around the Green Lipped Mussel creating an extract for general distribution. 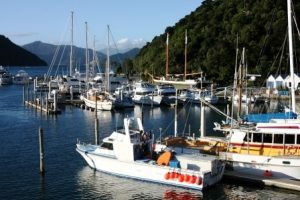 However, while on location, enjoy as many Green Lipped Mussel as you would like, fresh from the waters of Marlborough Sounds on your yacht charter cruise. New Zealand today has over 550 Green Lipped Mussel farms, mostly in the Marlborough Sounds. 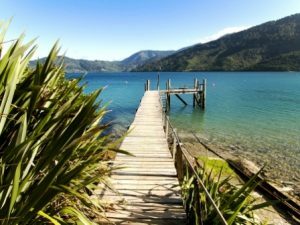 There are so many little bays and coves in the Marlborough Sounds area, many rarely visited, that these isolated maritime waters are extremely clean and are an ideal location for mussel farming. 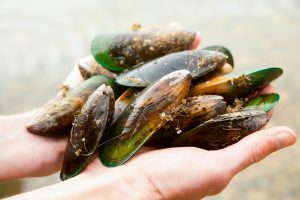 Rigorously monitored and in many circumstances an industry self adhering to environmental policies to be eco friendly, the mussel farming industries of New Zealand make up the largest segment of New Zealand’s seafood industry. 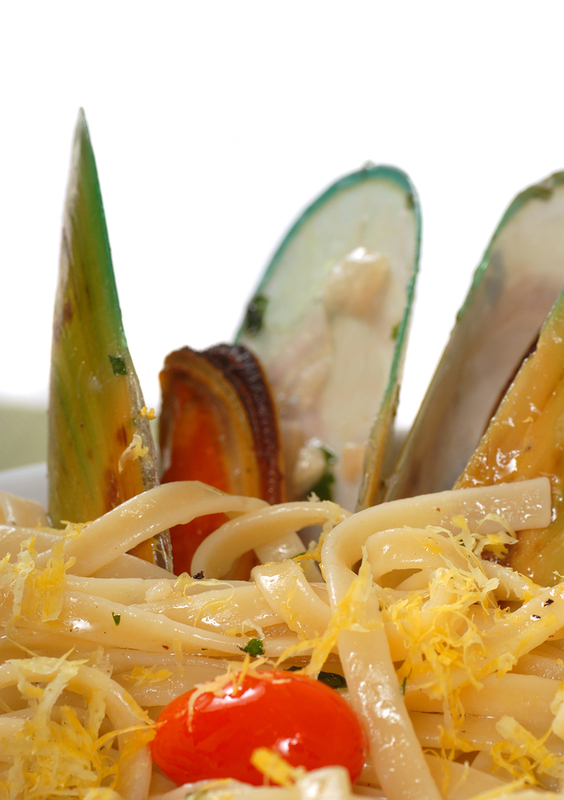 Green Lipped Mussels are exported to over 50 countries worldwide. But why not go to taste the mother lode yourself and enjoy these mussels straight out of the waters where they are farmed and cruising the Marlborough Sounds on a yacht charter in New Zealand. 3. Then shuck them open and loosen the meat from the shell and reserve the meat on the half shell. 4. Lay out on an oven tray, you might want to put foil down. Visit the Northrop and Johnson Website for More Charter Information!